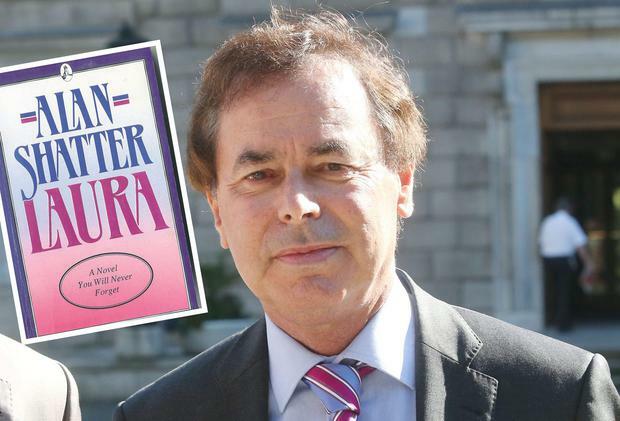 A FIVE-member censorship board has been appointed by the Government with the sole purpose of reviewing Justice Minister Alan Shatter's steamy novel 'Laura'. The minister's fictional tale of a married politician involved in a secret affair with his secretary is the only book to be reported to the Censorship of Publications Boards in the last five years. The office is due to be abolished by Arts Minister Jimmy Deenihan. A spokesman for the department said: "Significant legislative change has taken place since these boards were first put in place, and technological advancement has altered the way in which information is accessed and disseminated. "Minister Deenihan is moving to appoint a board to deal with the outstanding complaint as this complaint has been made under the current system and should be dealt with accordingly. However, the continuing requirement for and relevance of both the Censorship of Publications Board and Censorship of Publications Appeals Board will be reviewed over the coming period." The new board won't be paid to examine the novel, which was described as "obscene" by the complainant, but they will be reimbursed for expenses. The book was written by the Justice Minister almost 25 years ago and includes graphic descriptions of romps between a politician and his secretary. In one passage, a local TD, who is opposed to abortion, tries to force his employee to have a pregnancy terminated in England. The book was recently published again after the 'Herald' revealed the complaint to the censorship board. The new board includes retired garda Philip Moynihan who was appointed by Mr Shatter to the Property Services Appeal Board two years ago. The board's chairman will be Cork solicitor Shane McCarthy and the other members include barrister Sinead Prunty, lecturer Noelle O'Connor and librarian Georgina Byrne. Catherine Devine An Irish journalist who was awarded one of the world's most prestigious journalism awards has said that her prize is "bitter-sweet" as her reporting stemmed from a "horrendous" tragedy.